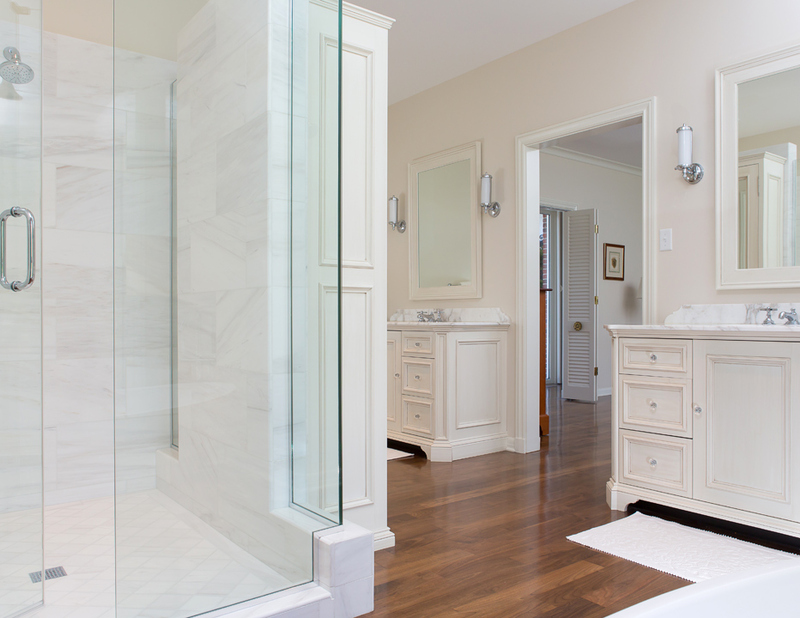 As part of a full-scale remodel, the homeowners of this 4,500-square-foot home needed a master bath that was efficient and functional. Working with Gegg Design & Cabinetry, the new master bath gives the visual sense of one large space while being divided into four zones: vanities; bath; shower; and water closet. 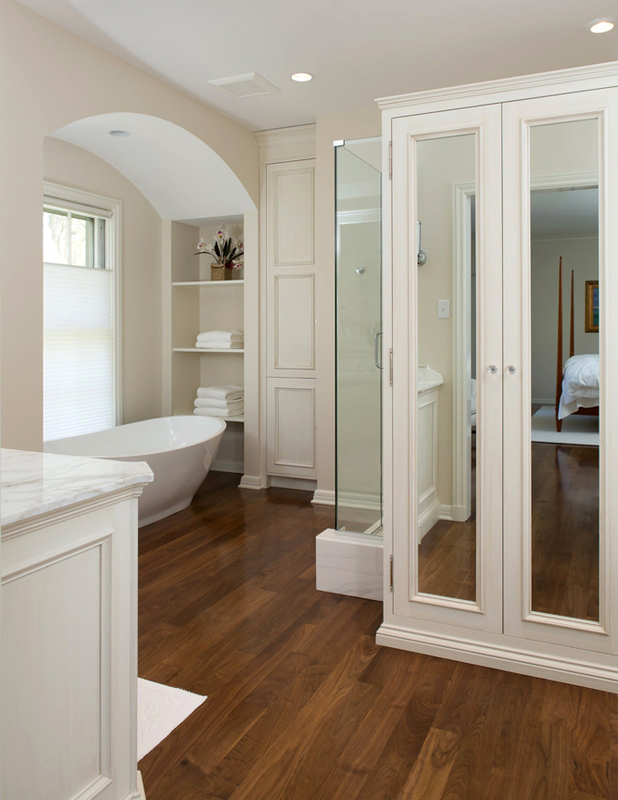 A sleek, freestanding tub opened up the space, while an arched ceiling added over the tub defines the zone. Open shelving was incorporated at one end of the tub for functional towel storage. A tall cabinet was added outside of the arched tub area for closed tall storage. The shower in the center of the room is the shining star of the master retreat. To keep the shower open yet still have a sense of privacy, Gegg incorporated glass into two walls forming the outer walls of the shower. On the wall facing the bath entry, a vertical wall, which does not go to the ceiling, splits the glass wall into two narrow sections. The result is visibility, glass and light without giving up privacy. Freestanding and furniture-like vanities pull the room together. Classic and beautiful, this bathroom is simple and clean. The floor choice is stunning and shines against the white fixtures and cabinetry. An instant dressing area is created with the mirrored armoire.